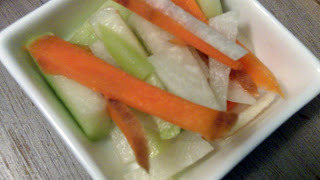 Side of chayote and carrot pickle. 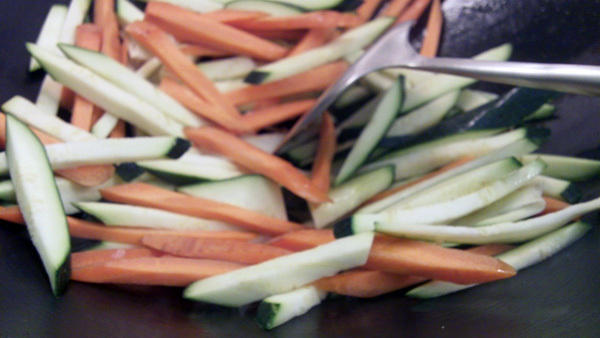 Stir fry zucchini, carrots with garlic and ginger. Added Swordfish to Lobster Bisque. Whenever I’ve ordered Swordfish in restaurants, I’ve always been disappointed. It’s not only expensive but dry and bland. Oh, they got it blackened alright but the interior has no flavor, you might as well eat a cardboard box! So, when I saw Swordfish nuggets recently, I thought I’d experiment as they were a quarter of the price of a whole steak and looked good. Even if I ruined the nuggets, it wouldn’t break the bank. I decided to wok fry some, grill some and just add to some store bought lobster bisque. These techniques would give me 3 different textures. As usual, I surfed the net to see how to tackle this fish. 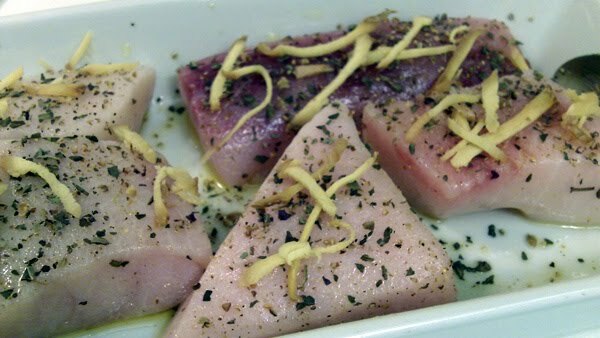 Most recipes suggest marinading in olive oil and grilling. I’m all about technique, when you know the ‘why’ of something, it’s easy. Olive oil is supposed to keep the fish tender, that was a no brainer. Done! I also added my usual, TSPC marinade (tamari, sherry, pepper, cornstarch for any kind of protein incl. toufu) for the fish that were fried in my cast iron wok and grilled. Ha, I just remembered Mark Bittman recently mentioned his NPR segment: Fish Debate: Fresh or Frozen. Great information. 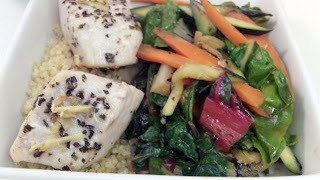 So, that’s what I think must’ve been the problem, Swordfish I had were previously frozen! 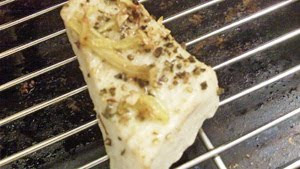 Freezing fish changes its texture, the only way round this is this fabulous tip I learned that prevents freezer burn! Bittman mentioned an alternative method: eliminating air but it’s more difficult to accomplish. 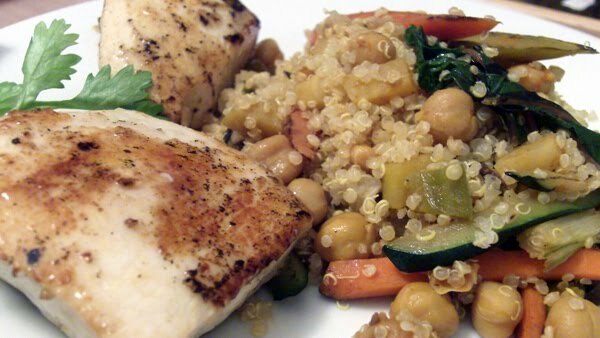 Next time you see Swordfish, try it. 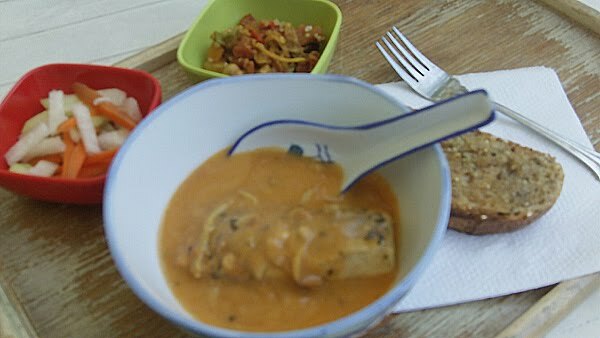 I was pleasantly surprised at how tender and creamy it was, very similar to bass. Many who’ve tried my tip agree it’s the closest thing to fresh fish! 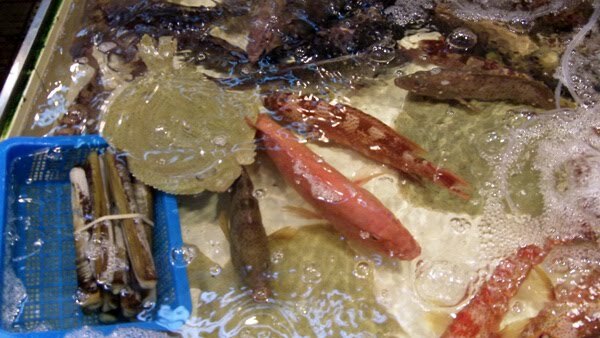 And that was from some Chinese friends who are very particular about their fish. In Asia, fish is mostly sold still swimming, that’s how fresh we like it. Here’s a photo I ‘fished’ out from my Hong Kong trip. Don’t let bad experiences prevent you from experimenting and open your mind to new ways of doing things. As the saying goes, “the way you do anything is the way you do everything!” Any fish stories you want to share?